NEW ORLEANS - Louisiana Republican Gov. Bobby Jindal has signed into law a bill that critics say could allow for the teaching of "creationism" alongside evolution in public schools. Jindal, a conservative Christian who has been touted by pundits as a potential vice presidential running mate for Republican presidential candidate John McCain, signed the legislation earlier this week. The law will allow schools if they choose to use "supplemental materials" when discussing evolution but does not specify what the materials would be. I am glad to see that global warming has earned a place of respect among those who support the notion that the world was created 4,000 years ago. It didn’t dawn on me that there might be a few holes in my education until I was about 35. I’d just bought a house, the pipes needed fixing, and the plumber was standing in my kitchen. There he was, a short, beefy guy with a goatee and a Red Sox cap and a thick Boston accent, and I suddenly learned that I didn’t have the slightest idea what to say to someone like him. So alien was his experience to me, so unguessable his values, so mysterious his very language, that I couldn’t succeed in engaging him in a few minutes of small talk before he got down to work. Fourteen years of higher education and a handful of Ivy League dees, and there I was, stiff and stupid, struck dumb by my own dumbness. “Ivy retardation,” a friend of mine calls this. I could carry on conversations with people from other countries, in other languages, but I couldn’t talk to the man who was standing in my own house. . . . The only good thing about George Carlin’s death on Sunday at the age of 71 — and there is no good thing about George Carlin’s death on Sunday at the age of 71 — is that he has already given us such a rich body of thought, analysis, observation and truth that it will take us the rest of our lives to work through it all — and even then, we probably won’t be able to absorb or act on even a percentage of what he’s said. Carlin, bless him, was dangerous. Yes, it was Lenny Bruce who set him free, and yes, at the same time Richard Pryor was doing the same thing in a different area. But these three giants told giant truths to an America that didn’t really want to hear them. “It’s called the American Dream because you have to be asleep to believe it,” he said. . . . In defiance of common sense, core research studies, the best thinking from universities, ethical norms, and humanitarian principles, the loons in charge of schools in East Ramapo, New York have run the clock backwards by almost a hundred years to a time in America when it was cutting-edge thinking to propose identification and segregation of defective individuals that stood in the way of American aspirations for purity and perfection. Today in East Ramapo, instead of using the crude IQ tests that Yerkes, Terman, and Goddard devised to separate the poor and the brown from others with non-defective "germ plasm," we use crude standardized achievement tests on young humans (1st graders) whose normal developmental differences would make such tests a joke, if the results were not being used to fail first graders, to segregate them, to drill them in math and reading, and to remove art, music, social studies, and science from their lives. Can you guess the snazzy title of this test-and-segregate policy for first graders? The Gift of Time. Let's all nominate Dr. Mitchell Schwartz, retiring superintendent, for the 2008 Orwell Prize. SPRING VALLEY, N.Y. — With the increasing emphasis on standardized testing over the past decade, large urban school systems have famously declared an end to so-called social promotion among youngsters lacking basic skills. Last year, New York flunked 6 percent of its first graders, and Chicago 7.7 percent. Now the 8,400-student East Ramapo school district in this verdant stretch west of the Palisades is going further, having revived a controversial retention practice widely denounced in the 1980s to not only hold back nearly 12 percent of its first graders this spring but to segregate them in a separate classroom come fall. The special classes, which are limited to 15 students and follow a pared-down curriculum of reading, writing and arithmetic, are called the Gift of Time and come with extras like tutoring and field trips to a local farm. School officials say that adding resources — about $2,000 per child, in a district whose average general-education spending per pupil is about $13,000 — and tailoring the lessons for low-performers works. Nearly 80 percent of the 54 first graders and 47 second graders in Gift of Time classes this past school year now read at grade level (although they are, of course, a year behind their age group); at least 30 percent of the younger group and 11 percent of the older group are above grade level, according to district evaluations performed last month. Iraida Hada, the principal of Hempstead Elementary here, said that merely holding back students without a special program to address their needs would not have been as effective. But some parents have greeted the idea with skepticism, and many education experts say it doubly stigmatizes vulnerable children by combining two practices widely discredited by research: retention and tracking low-achievers. “This is very worrisome,” said Jay Heubert, a professor of law and education at Teachers College at Columbia University, arguing that both holding back students and separating them can lower self-esteem and academic achievement, increasing the likelihood of dropouts. Michelle Brown, 34, a certified nursing assistant, fought unsuccessfully to keep her son, Nallehc, out of the program this year for fear that he would be picked on — which he was. The concept, often called transition classes, was tried in kindergarten in thousands of schools — including East Ramapo’s — in the 1970s and ’80s. Lorrie Shepard, dean of the School of Education at the University of Colorado at Boulder, said such programs were generally abandoned after students failed to show significant academic gains and often developed a worse attitude toward school. “Kids as young as kindergarten were aware that they were being held back and that what they were doing wasn’t normal,” Dr. Shepard said. But with the federal No Child Left Behind law and a battery of state mandates increasing pressure on schools to raise test scores, efforts to end the longtime practice of promoting children based on age rather than achievement have taken on new urgency. Districts in Milford, Del., and Lakeland, Fla., are among a handful nationwide that have been experimenting with transition classes in recent years, though both dropped them in the face of parental resistance and, in Florida, concerns among teachers. Supporters of the separate classes say they give struggling students a chance to learn at their own pace rather than setting them up for future failure by shoe-horning them into a uniform timetable. Since the 1970s, several schools scattered around New Hampshire have placed kindergarteners in what they call readiness classes for up to a year before starting first grade; the classes are usually smaller and promote social development as much as academics. Here in Rockland County, the East Ramapo district serves a mostly poor and minority student population: nearly three-quarters qualify for the federal free or reduced-price lunch program; about 56 percent of the overall public school enrollment is black, 25 percent Hispanic and 7 percent Asian. District officials said they revived Gift of Time classes to address a widening gap in the vocabulary and other skills of the youngest children. Similarly, the district began requiring full-day kindergarten last year for the bottom one-fifth of students. Dr. Mitchell J. Schwartz, a psychologist who retired this spring as the district’s superintendent, said East Ramapo had similarly tried separate classes in the 1980s to address an achievement gap between boys and girls (boys were behind). He said those classes, also called Gift of Time, were successful but were eliminated after several years for financial reasons. . . . Yesterday Congressman Miller got through the House a bill that would shut down the human rights hellholes that operate under the name of youth boot camps. Where is the bill that would put an end to the kind of publicly supported abuse and humiliation that is happening in Rockland County's first grade classes for poor children? Inspired, no less, by that policy fiasco we shall never forget as No Child Left Behind? Some price to pay, huh, for a school privatization plan gone haywire? The key tool used for the "cognitive decapitation" of the poor, as Kozol refers to today's direct instruction behavioral mod chain gangs, has been enabled by the bribery and corruption induced from the billion dollars a year in federal Reading First grants. Set up from the outset to hammer children into early submission like trained parrots and to measure their success by how many nonsense words they can mouth in 60 seconds (DIBELS), the results couldn't be more clear. Even Grover Whitehurst at ED's own research shop knows an unalterable failure when he sees one. Now Congress is poised to cut off the funding stream that has made millionaires of Carnine, Lyon, Good, Kaminski, and the rest of the Reading First gang. Our elected representatives should not hesitate any longer to stop this educational genocide. There are truly balanced literacy approaches that work, the same ones that these thugs excluded from their get-rich and make-stupid gravy train that has just run out of track. Students enrolled in Reading First, a key component of President Bush’s so-called No Child Left Behind law, read no better than students who aren’t in the program, according to a new Department of Education study. “There was no statistically significant impact on reading comprehension scores in grades one, two, or three,” Grover J. Russ Whitehurst, director of the Institute of Education Sciences at the Department of Education, said. Today I testified to Congress about global warming, 20 years after my June 23, 1988 testimony, which alerted the public that global warming was underway. There are striking similarities between then and now, but one big difference. Again a wide gap has developed between what is understood about global warming by the relevant scientific community and what is known by policymakers and the public. Now, as then, frank assessment of scientific data yields conclusions that are shocking to the body politic. Now, as then, I can assert that these conclusions have a certainty exceeding 99 percent. The difference is that now we have used up all slack in the schedule for actions needed to defuse the global warming time bomb. The next president and Congress must define a course next year in which the United States exerts leadership commensurate with our responsibility for the present dangerous situation. Otherwise it will become impractical to constrain atmospheric carbon dioxide, the greenhouse gas produced in burning fossil fuels, to a level that prevents the climate system from passing tipping points that lead to disastrous climate changes that spiral dynamically out of humanity's control. Changes needed to preserve creation, the planet on which civilization developed, are clear. But the changes have been blocked by special interests, focused on short-term profits, who hold sway in Washington and other capitals. I argue that a path yielding energy independence and a healthier environment is, barely, still possible. It requires a transformative change of direction in Washington in the next year. On June 23, 1988 I testified to a hearing, organized by Senator Tim Wirth of Colorado, that the Earth had entered a long-term warming trend and that human-made greenhouse gases almost surely were responsible. I noted that global warming enhanced both extremes of the water cycle, meaning stronger droughts and forest fires, on the one hand, but also heavier rains and floods. My testimony two decades ago was greeted with skepticism. But while skepticism is the lifeblood of science, it can confuse the public. As scientists examine a topic from all perspectives, it may appear that nothing is known with confidence. But from such broad open-minded study of all data, valid conclusions can be drawn. My conclusions in 1988 were built on a wide range of inputs from basic physics, planetary studies, observations of on-going changes, and climate models. The evidence was strong enough that I could say it was time to "stop waffling." I was sure that time would bring the scientific community to a similar consensus, as it has. While international recognition of global warming was swift, actions have faltered. The U.S. refused to place limits on its emissions, and developing countries such as China and India rapidly increased their emissions. What is at stake? Warming so far, about two degrees Fahrenheit over land areas, seems almost innocuous, being less than day-to-day weather fluctuations. But more warming is already "in the pipeline," delayed only by the great inertia of the world ocean. And climate is nearing dangerous tipping points. Elements of a "perfect storm," a global cataclysm, are assembled. Climate can reach points such that amplifying feedbacks spur large rapid changes. Arctic sea ice is a current example. Global warming initiated sea ice melt, exposing darker ocean that absorbs more sunlight, melting more ice. As a result, without any additional greenhouse gases, the Arctic soon will be ice-free in the summer. More ominous tipping points loom. West Antarctic and Greenland ice sheets are vulnerable to even small additional warming. These two-mile-thick behemoths respond slowly at first, but if disintegration gets well under way, it will become unstoppable. Debate among scientists is only about how much sea level would rise by a given date. In my opinion, if emissions follow a business-as-usual scenario, sea level rise of at least two meters is likely within a century. Hundreds of millions of people would become refugees, and no stable shoreline would be reestablished in any time frame that humanity can conceive. Animal and plant species are already being stressed by climate change. Species can migrate in response to movement of their climatic zone, but some species in polar and alpine regions will be pushed off the planet. As climate zones move farther and faster, climate change will become the primary cause of species extinction. The tipping point for life on the planet will occur when so many interdependent species are lost that ecosystems collapse. The shocking conclusion, documented in a paper2 I have written with several of the world's leading climate experts, is that the safe level of atmospheric carbon dioxide is no more than 350 ppm (parts per million), and it may be less. Carbon dioxide amount is already 385 ppm and rising about 2 ppm per year. Shocking corollary: the oft-stated goal to keep global warming less than two degrees Celsius (3.6 degrees Fahrenheit) is a recipe for global disaster, not salvation. These conclusions are based on paleoclimate data showing how the Earth responded to past levels of greenhouse gases and on observations showing how the world is responding to today's carbon dioxide amount. The consequences of continued increase of greenhouse gases extend far beyond extermination of species and future sea level rise. Arid subtropical climate zones are expanding poleward. Already an average expansion of about 250 miles has occurred, affecting the southern United States, the Mediterranean region, Australia and southern Africa. Forest fires and drying-up of lakes will increase further unless carbon dioxide growth is halted and reversed. Mountain glaciers are the source of fresh water for hundreds of millions of people. These glaciers are receding world-wide, in the Himalayas, Andes and Rocky Mountains. They will disappear, leaving their rivers as trickles in late summer and fall, unless the growth of carbon dioxide is reversed. Coral reefs, the rainforest of the ocean, are home to one-third of the species in the sea. Coral reefs are under stress for several reasons, including warming of the ocean, but especially because of ocean acidification, a direct effect of added carbon dioxide. Ocean life dependent on carbonate shells and skeletons is threatened by dissolution as the ocean becomes more acid. Such phenomena, including the instability of Arctic sea ice and the great ice sheets at today's carbon dioxide amount, show that we have already gone too far. We must draw down atmospheric carbon dioxide to preserve the planet we know. A level of no more than 350 ppm is still feasible, with the help of reforestation and improved agricultural practices, but just barely -- time is running out. The steps needed to halt carbon dioxide growth follow from the size of fossil carbon reservoirs. Coal towers over oil and gas. Phase out of coal use except where the carbon is captured and stored below ground is the primary requirement for solving global warming. Oil is used in vehicles, where it is impractical to capture the carbon. But oil is running out. To preserve our planet we must also ensure that the next mobile energy source is not obtained by squeezing oil from coal, tar shale or other fossil fuels. Special interests have blocked transition to our renewable energy future. Instead of moving heavily into renewable energies, fossil companies choose to spread doubt about global warming, as tobacco companies discredited the smoking-cancer link. Methods are sophisticated, including disguised funding to shape school textbook discussions. CEOs of fossil energy companies know what they are doing and are aware of long-term consequences of continued business as usual. In my opinion, these CEOs should be tried for high crimes against humanity and nature. If their campaigns continue and "succeed" in confusing the public, I anticipate testifying against relevant CEOs in future public trials. If politicians remain at loggerheads, citizens must lead. We must demand a moratorium on new coal-fired power plants. We must block fossil fuel interests who aim to squeeze every last drop of oil from public lands, off-shore, and wilderness areas. Those last drops are no solution. They provide continued exorbitant profits for a short-sighted self-serving industry, but no alleviation of our addiction or long-term energy solution. Moving from fossil fuels to clean energy is challenging, yet transformative in ways that will be welcomed. Cheap, subsidized fossil fuels engendered bad habits. We import food from halfway around the world, for example, even with healthier products available from nearby fields. Local produce would be competitive if not for fossil fuel subsidies and the fact that climate change damages and costs, due to fossil fuels, are also borne by the public. A price on emissions that cause harm is essential. Yes, a carbon tax. Carbon tax with 100 percent dividend is needed to wean us off fossil fuel addiction. Tax and dividend allows the marketplace, not politicians, to make investment decisions. Carbon tax on coal, oil and gas is simple, applied at the first point of sale or port of entry. The entire tax must be returned to the public, an equal amount to each adult, a half-share for children. This dividend can be deposited monthly in an individual's bank account. Carbon tax with 100 percent dividend is non-regressive. On the contrary, you can bet that low and middle income people will find ways to limit their carbon tax and come out ahead. Profligate energy users will have to pay for their excesses. Demand for low-carbon high-efficiency products will spur innovation, making our products more competitive on international markets. Carbon emissions will plummet as energy efficiency and renewable energies grow rapidly. Black soot, mercury and other fossil fuel emissions will decline. A brighter, cleaner future, with energy independence, is possible. Washington likes to spend our tax money line-by-line. Swarms of high-priced lobbyists in alligator shoes help Congress decide where to spend, and in turn the lobbyists' clients provide "campaign" money. The public must send a message to Washington. Preserve our planet, creation, for our children and grandchildren, but do not use that as an excuse for more tax-and-spend. Let this be our motto: "One hundred percent dividend or fight! No more alligator shoes!" The next president must make a national low-loss electric grid an imperative. It will allow dispersed renewable energies to supplant fossil fuels for power generation. Technology exists for direct-current high-voltage buried transmission lines. Trunk lines can be completed in less than a decade and expanded analogous to interstate highways. Government must also change utility regulations so that profits do not depend on selling ever more energy, but instead increase with efficiency. Building code and vehicle efficiency requirements must be improved and put on a path toward carbon neutrality. The fossil-industry maintains its stranglehold on Washington via demagoguery, using China and other developing nations as scapegoats to rationalize inaction. In fact, we produced most of the excess carbon in the air today, and it is to our advantage as a nation to move smartly in developing ways to reduce emissions. As with the ozone problem, developing countries can be allowed limited extra time to reduce emissions. They will cooperate: they have much to lose from climate change and much to gain from clean air and reduced dependence on fossil fuels. We must establish fair agreements with other countries. However, our own tax and dividend should start immediately. We have much to gain from it as a nation, and other countries will copy our success. If necessary, import duties on products from uncooperative countries can level the playing field, with the import tax added to the dividend pool. Democracy works, but sometimes churns slowly. Time is short. The 2008 election is critical for the planet. If Americans turn out to pasture the most brontosaurian congressmen, if Washington adapts to address climate change, our children and grandchildren can still hold great expectations. On April 13 I offered this post that linked the racist testing policies of Mayor Gradgrind and Chancellor McChoakumchild to the history of IQ testing movement and the eugenics movement in this country. Now the results of the qualifying tests are all counted up, and voila--the number of poor children going into schools that offer humane curriculums is down, down. All the while, academics and other disbelievers of reality argue that this racist and classist result is not intentional. What makes the racism entirely transparent is the vaccuous rationale that Klein uses to justify the City's decision to compare children's scores from the South Bronx to children's scores on the Upper East Side. Why not compare children from the same neighborhoods? According to McChoakumchild, there is too much mobility among the populations of some neighborhoods "where children move frequently." Yes, yes, too much mobility as families try to stay one step ahead of the landlord, but all that mobility represents the same class of desperation and an equally-reliable level of impoverishment. When New York City set a uniform threshold for admission to public school gifted programs last fall, it was a crucial step in a prolonged effort to equalize access to programs that critics complained were dominated by white middle-class children whose parents knew how to navigate the system. The move was controversial, with experts warning that standardized tests given to young children were heavily influenced by their upbringing and preschool education, and therefore biased toward the affluent. Now, an analysis by The New York Times shows that under the new policy, children from the city’s poorest districts were offered a smaller percentage than last year of the entry-grade gifted slots in elementary schools. Children in the city’s wealthiest districts captured a greater share of the slots. The disparity is so stark that some gifted programs opened by Mayor Michael R. Bloomberg in an effort to increase opportunities in poor and predominantly minority districts will not fill new classes next year. In three districts, there were too few qualifiers to fill a single class. The new policy relied on a blunt cutoff score on two standardized tests. According to the analysis, 39.2 percent of the students who made the cutoff live in the four wealthiest districts, covering the Upper East Side, the Upper West Side, Staten Island and northeast Queens. That is up from 24.9 percent last year, even though those districts make up 14.2 percent of citywide enrollment in the entry-level grades: kindergarten or first grade, depending on the district. Students in 14 districts where the poverty rate is more than 75 percent account for more than a third of enrollment but received only 14.6 percent of the offers for spots in gifted programs this year, down from 20.2 percent last year. The results reflect a head-on collision of two key themes in the Bloomberg administration’s overhaul of the school system. On the one hand, the city has centralized and standardized admissions procedures, including those for pre-kindergarten and high school, to even the playing field and eliminate any advantage held by certain parents. On the other hand, the administration is intent on ensuring equal access to the system’s most coveted offerings and closing the racial achievement gap, which Schools Chancellor Joel I. Klein frequently refers to as a critical front in the civil rights battle. Joseph S. Renzulli, director of the University of Connecticut’s National Research Center on the Gifted and Talented, who was a consultant to a city task force on the gifted, said he admired the chancellor’s intentions but felt that children should be judged against others in their neighborhoods, not by a citywide cutoff. Education officials defended their revamping of the system, saying they had introduced fairness and transparency. Officials said that it was “very likely” that the same policy would apply next year but that they would try to broaden the applicant pool. They said judging students against others in their districts was difficult in a city like New York, where children move frequently. . . .
Jun. 18--Although the nation's lowest-performing students have made great progress in the No Child Left Behind era of testing, the top students are not making similar strides, according to a report by the Fordham Institute. * Fourth grade reading scores were up by a modest 2 points from 2005 to 2007, from 219 to 221. Actually, scores for this grade on NAEP had been 219 in 2002. 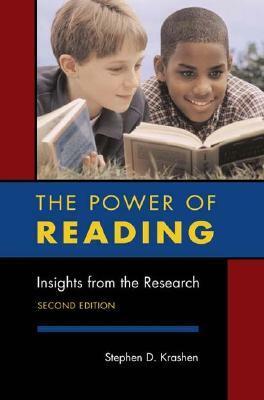 The biggest increase in reading scores occurred between 2000 and 2002, when the scores went up by six points. In other words, the gains since NCLB was enacted do not equal the gains recorded on NAEP in the years prior to NCLB. * Eighth grade reading scores were up by only one point. The trend line for this grade in reading from 1998 to 2007 is a flat line. The score was 263 in 1998 and it is 263 in 2007. 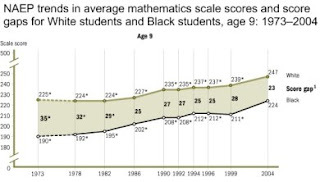 * Fourth grade mathematics scores increased by two points, from 238 in 2005 to 240 in 2007. The trend line in this grade points steadily upward. The biggest gains occurred in the pre-NCLB period, when scores rose from 226 in 2000 to 235 in 2003. * Eighth grade mathematics scores were up by two points, from 279 in 2005 to 281 in 2007. Again, the pre-NCLB gains were larger, when scores increased from 273 in 2000 to 278 in 2003. So I don't know what they are smoking over at Fordham, but it's obvious where they are trying to blow the smoke. But to the finer point, here. Does Dr. Finn, the fire and fist behind Fordham, really believe that readers will not notice that closing the achievement gap requires more gains at the bottom than at the top in order to, uh, close the gap? That, or bring down the top scorers, yes? Helloooooooooo. All of this, I would suggest, is an attempt to hurriedly claim success for a failed policy before dumping the whole NCLB privatization scheme in order to pivot the conservative ed reform agenda toward the college bound who have been so neglected for the past seven years. Of course, in order to not be accused of exclusionary policies, the conservatives now claim that the entire population is college bound. And if you are not, well, your high school needs to be shut down, or you need to try harder. The revamped SAT, expanded three years ago to include a writing test, predicts college success no better than the old test, and not quite as well as a student’s high school grades, according to studies released Tuesday by the College Board, which owns the test. “The changes made to the SAT did not substantially change how predictive the test is of first-year college performance,” the studies said. College Board officials presented their findings as “important and positive” confirmation of the test’s success. But critics of the new test say that if that is the best it can do, the extra time, expense and stress on students are not worth it. “The new SAT was supposed to be significantly better and fairer than the old one, but it is neither,” said Robert Schaeffer, the public education director at FairTest, a group that is critical of much standardized testing. “It underpredicts college success for females and those whose best language is not English, and over all, it does not predict college success as well as high school grades, so why do we need the SAT, old or new?”. . . .
Students in the D.C. school voucher program, the first federal initiative to spend taxpayer dollars on private school tuition, generally did no better on reading and math tests after two years than public school peers, a U.S. Education Department report said yesterday. The report comes at a politically perilous moment for the program. Congressional Democrats, led by D.C. Del. Eleanor Holmes Norton, want to phase it out, arguing that it drains money and other resources from public schools. Most scholarship recipients have enrolled in Catholic and other faith-based private schools. Voucher supporters assert that Democrats, who now control Congress, should not deny poor families the kind of choices available to the well-to-do to satisfy such anti-voucher interest groups as teachers unions. This afternoon, a House Appropriations subcommittee will consider President Bush's request for $18 million to continue the program. Education Secretary Margaret Spellings renewed her call yesterday to preserve the program, stressing that it has shown promising achievement trends. Researchers found gains in reading among some groups of scholarship recipients, although they said the bump could be due to statistical chance. "No one in a position of responsibility can sever this lifeline right now and leave these kids adrift in schools that are not measuring up -- not when they have chosen to create a better future for themselves," Spellings said. . . . If we could ignore the influence of poverty on these children's lives, which Spellings has no problem at all doing, there remains the question of how much a good private school education costs in D.C. Fifteen, twenty, thirty thousand a year? Or is $7,500 a year enough for the poor to "choose a better future?" The findings mirror those in previous studies of the D.C. Opportunity Scholarship Program, passed by a Republican-led Congress in 2004 to place the District at the leading edge of the private school choice movement. It has awarded scholarships to 1,903 children from low-income families, granting up to $7,500 a year for tuition and other fees at participating schools. 27 Years After Savage Inequalities. . .
A school choice pilot program now under consideration in the state Senate is getting a thumbs down from the Camden Education Association, the union representing the Camden school district's teachers and support staff. The proposed program would give scholarships to poor children in Camden, along with youth in seven other low-income, urban areas of the state, so they could attend a different public school or enroll at a private school. The money to fund the scholarships would come from corporate donations to qualified nonprofit organizations. The corporations would receive a dollar-for-dollar tax credit for their contributions. The bill uses the word scholarships, but really it means school vouchers, said Kenneth McIntosh, president of the Camden Education Association, which represents about 2,700 district personnel. . . . This week's summit — as sponsors call it — of Jeb Bush's Foundation for Excellence in Education might seem like a mere "school choice" pep rally with a bonus excursion to the Magic Kingdom, but it's happening at a time when the Legislature has decimated school funding. Moreover, this is an election year. Headliners at the conference at the Disney World Contemporary Resort include New York Mayor Michael Bloomberg, U.S. Education Secretary Margaret Spellings, a slew of usual suspects from the Heritage Foundation and the Cato Institute, plus Barbara Bush and state Sen. Dan Webster, whose valedictory piece of legislation was a resolution instructing Floridians to pray away hurricanes on June 1. And, of course, Jeb Bush himself. Three of the nine amendments Floridians will vote on this November will determine the course of public education in this state. Amendment 5 gets rid of local property taxes designated for schools, requiring the Legislature to raise sales taxes or perform some other voodoo economics to make up the funding gap. Amendments 7 and 9 would demolish Florida's separation of church and state and repeal the part of the Constitution that calls for a "uniform, efficient, safe, secure, and high quality system of free public schools that allows students to obtain a high quality education." The state would simply be obligated to provide education "fulfilled at a minimum and not exclusively" by public schools. Out of office ain't out of power — Amendments 7 and 9 come courtesy of Jeb Bush and his band of true believers. Some history: While he was governor, Jeb Bush drove an ideological tank through Florida's schoolyards, taking command of education from pre-K to postgrad, imposing the FCAT, penalizing "failing" schools, declaring war on the teachers' unions and forcing vouchers upon the state. But Florida courts deemed his "Opportunity Scholarships" unconstitutional on the grounds that they violate the separation of church and state, channeling taxpayer money to religious schools and because they undermined the requirement to have a uniform public education system. When he left office in 2007, it looked like Jeb Bush had lost. But if at first you don't succeed, start your own right wing think tank. Raise money. Work with allies in Florida's Republican oligarchy to stack the relevant boards and commissions with your supporters. If vouchers are unconstitutional, then change the Constitution. Instead of working through the elected Legislature, voucher proponents turned to the unelected Taxation and Budget Reform Commission. The commission, a 25-member panel made up of gubernatorial and legislative appointees, appears only every 20 years. It is charged with examining the state's budget structure and coming up with new ways to find the money to address the state's needs. Installed on this year's commission were a few token Democrats, such as former Sen. Les Miller and former FSU president and American Bar Association president Sandy D'Alemberte, but mostly trusty conservatives like former House Speaker Allan Bense and Bush administration retreads Brian Yablonski and Greg Turbeville, among others. The commission's chief Bush cheerleader was, however, Patricia Levesque, Jeb's former deputy chief of staff and executive director of his foundation. Levesque is hostile to public education. She's a graduate of Bob Jones, the Talibanesque South Carolina college where mingling between the genders is policed, dancing is verboten and interracial dating was banned until 2000. But like her boss and his allies, Levesque couches her educational radicalism in the kinder, gentler, more politic language of "reform," "options" and "competition." She and other voucher advocates are smart enough to game the system. Amendment 9, the one that guts the constitutional imperative to provide a "high quality" education in favor of minimal funding for schools, also orders that 65 percent of school funding go toward "classroom instruction." Mark Pudlow, spokesman for the Florida Education Association, points out that most schools already spend 65 percent or more of their budgets on instruction, and the amendment language is just a "Trojan horse" to sneak vouchers inside our education system. "They had to obfuscate the purposes of both Amendments 7 and 9. Most people don't want vouchers." Indeed, a recent Quinnipiac University poll shows that only 38 percent would approve a vouchers-only amendment. But if you throw in the spurious "65 percent solution," 63 percent of voters would say yes. Bushites on the commission are shocked! shocked! at accusations of sneaky tactics. Greg Turbeville, who proposed Amendment 9, says that since it deals with both spending and policy, "It made perfect sense to combine the two." Now, you may be wondering why a commission charged by the Constitution to periodically examine "the tax structure," assess revenue sources and figure out the state's fiscal needs, is fooling around with education policy. Levesque and Turbeville argue that since education is a huge part of the Florida budget, education is fair game for the commission. "School spending is well within the realm of the budget commission," says Turbeville. Dexter Douglass, the well-known Tallahassee lawyer, constitutional expert, and former general counsel to Democratic Gov. Lawton Chiles, begs to differ: "They don't have authority to do what they did." The Florida Education Association concurs. It has filed a lawsuit contending that the commission overreached in its attempts to do an end run around both the courts and the legislative process. But however the legal challenge shakes out, however the vote goes in November, the problem remains what to do with Florida's increasingly stressed, grievously impoverished schools. Jeb Bush argues that parents should be able to remove their children from bad schools and use state money to send them to private or parochial institutions. In a May 6 opinion piece for the Times, the former governor claimed that with vouchers "all schools got better." This is magical (perhaps "ideological" is a better word) thinking. Taking money away from one of the worst-funded school systems in the nation to feed private schools — schools which do not have to test their students, administer the FCAT, or meet minimum standards, schools which are not accountable to the taxpayers whose money they spend — is hardly a prescription for improvement. We've had a strong separation of church and state since 1838; dissolving that opens up not so much a can of worms as the whole worm farm. The Bushite argument goes, don't worry, the Legislature will continue to fund public schools — sort of. These are the same people who said they'd "hold education harmless" this year, then turned around and cut $891-million. Dexter Douglass isn't buying it: "Jeb Bush set out to destroy public education in Florida." Given his determination to shift public money to private institutions, it sure begins to look like that. Diane Roberts, a former member of the Times editorial board, is professor of English at Florida State University. 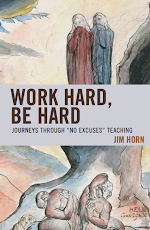 A longtime educator in Oregon suggested that I mail my book When Childhood Collides with NCLB to every member of the House and Senate education committees--and offered $100 to start a fund to pay the costs of doing this. I've listed committee members below. I agreed to send out the books and asked that people send me letters by e-mail to members of the committee who live in their states. I will send the book in their name, along with the cover letter. So if you would liked to participate, write a short letter to Bernie Sanders, member of the Senate education committee, e-mail it to me, and I will print it up and send it out along with a copy of the book. This campaign just started late last night, but so far I have sent books and letters to 13 committee members arepresenting Colorado, Florida, Maryland, Georgia, and Vermont as well as Oregon. These letters are short but they make NCLB personal to the constituents involved, as well as personal to the senders. They went out today--with the book. Since there are 69 members of Congress serving on these two committees, this is a large, expensive undertaking (think $3.00 just for mailer and postage). I published this book as a grassroots venture, hoping the low cost would encourage people to spread the message. Maybe this current activity is more spitting in the wind, but I'd rather fight than whine. When the privatizers shoved a tutoring mandate worth a billion dollars a year into the NCLB Act (to be paid for with Title I allotments) as a way to assuage the conservative loss of vouchers from the Bill, not even critics could have guessed what a waste of education money the corporate tutoring program would become. Free tutoring that federal law prescribes to help students at struggling schools has yielded little or no positive effect on student test scores in Virginia, Maryland and several other states, according to early evaluations. Under the six-year-old No Child Left Behind law, certain schools in which too many students fail math or reading exams must use federal funds to offer after-school or weekend tutoring to students from low-income families. In the 2006-07 school year, $595 million went to the fast-growing industry of for-profit and nonprofit tutoring providers. But it remains unclear whether or how much those extra lessons are boosting student performance, even though the law envisions them as a key way to narrow achievement gaps. In Virginia, researchers compared the performance last year of students with identical or very similar math scores in 2006 and found that those who were tutored did no better than their peers, according to an analysis the state Department of Education released in April. In a similar comparison of reading scores, students who were tutored lagged behind those who weren't. Studies in Tennessee, Alabama, Georgia, Michigan and Kentucky also showed that the mandated tutoring, known as "supplemental educational services," didn't bump up test scores. "This isn't helping poor kids," said Jack Jennings, president and chief executive of the Center on Education Policy in the District, which monitors implementation of the federal law. 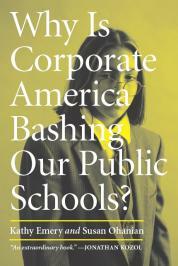 "All it's doing is taking money out of classrooms and putting it into the hands of private companies." . . .
For the past several years ED has been handing out big grants left and right (mostly right) to any school board willing to help them perfect the total surveillance society in America. No better way to teach the inevitability of unconstitutional practices than to demonstrate to youngsters that their privacy means nothing and that the authorities can drug test them without cause or suspicion. The Asbury Park Press has this piece from yesterday about a group of students and parents striking back. One can hope that other students around the country will join hands with SMART to preserve constitutional protections and to preserve trust among educators, school boards, students, and parents. As a senior at Allentown High School, I served as vice president of Life-Savers, a club dedicated to preventing student substance abuse. This year our Board of Education proposed a policy that would require students who wish to participate in extracurricular activities to submit to random urinalysis tests for illicit drug use. While I understand the desire to do more, I believe the policy will do more harm than good. My fellow students and I are organizing against this policy, which is ineffective, discounts student input, invades privacy and erodes trust. In response to the proposal, I joined with my peers to form a group, Students Morally Against Random Testing (SMART), to mobilize opposition to student drug testing. Composed of more than 250 students, parents and alumni, we are an active voice at board meetings. We have asked the board to reject the drug testing proposal and submitted a petition with at least 450 signatures from high school students. We presented the board with scientific research that found drug testing to be ineffective in reducing student drug use. A pair of University of Michigan studies, conducted in 2003, compared students in schools with and without a drug testing program and found virtually no difference in illegal drug use. Additionally, the American Academy of Pediatrics points to research indicating that student drug testing programs actually may lead adolescents to engage in more risky behaviors, such as Friday-night binge drinking, which will not show up on a drug test Monday morning. The program can be counterproductive, as students who test positive are suspended from extracurricular activities, giving them more unsupervised time during the peak hours of student drug use. It might also prompt students to move to inhalants such as Freon or household cleaners, which are equally dangerous and will not show up on the screening. The board should take seriously the privacy concerns of students. While the administration makes promises about confidentiality, students who are suspended from activities would be the target of rumors and gossip, a pervasive force at our school. To protect against false positives, the school requires parents and students to disclose prescriptions and medical information, raising anxiety about this information getting out. Privacy issues are not something to be dismissed lightly. Fear is a final byproduct of the policy. Proponents label this a "deterrent," but in actuality it breaks down trust between administrators and students. The board seems ready for a program that embraces a mentality of "guilty until proven innocent," with every student a suspect. Creating an environment of trust, where students feel connected to school, is the most effective way to keep students out of trouble with drug use. Chris Steffner, principal of Hackettstown High School, gave a presentation in favor of testing at a recent board meeting. This is the same woman who said, "Fear in the mind of a teenager is a wonderful thing." Not only is this statement blatantly offensive to any teenager, but it is seriously misguided. No student deserves to live in fear. Growing up afraid is not conducive to education. Students across New Jersey will continue to fight against wasteful and ineffective random student drug testing. The Upper Freehold Regional school board is scheduled to vote on the policy on June 18. New Jersey educators should listen to the science, the experts and their students and "just say no" to random drug testing. Congratulations, Brandon and fellow seniors. You make me proud to be an educator. Craig Haller has been battling the state over requirements that his daughter Hannah take the MCAS. Hannah is unable to communicate and thus cannot respond either to the test or the alternative assessment. She should be exempted, but the state is stonewalling. Craig has been working with policymakers, advocacy groups and the media. My daughter is severely disabled. She is non-verbal, non-mobile and has an incredible personality. She cannot communicate a simple yes or no. She cannot signal where she hurts when in pain. She cannot inform you if she is hungry or tired. She is 15 years old. The state we live in demands that she be tested for her abilities in Math, English and more. Her math skills would be put to shame by Clever Hans the horse. Her English skills are greatly surpassed by Alex the parrot. And she does not come close to the communication of Washoe the signing chimp. This is not a reflection on her intelligence, knowledge or awareness, it is the statement that we do not know nor can we test what she does possess. Note that without the fantastic technologies he uses to communicate, Stephen Hawking would not be able to pass the exams either. My daughter greatly surpasses Hans, Alex and Washoe in a myriad of wonderful and amazing ways, but alas, our state has no interest, and the No Child Left Behind legal quagmire could not care less. The Boston ABC affiliate station, Channel 5, ran our story this evening. Note that the Commonwealth completely misled the reporter on the testing requirements. No guts to face what they do, I guess. I do want to thank Bianca de la Garza, the anchorwoman who did the story, and the camerman. Both were great with Hannah and did a wonderful job getting our story out. HARRISBURG, Pa. - Some state lawmakers are seeking to block a proposal to require new state graduation tests for Pennsylvania high school students, arguing that greater legislative input is needed before the state spends any money on the exams. But their cause is unlikely to succeed because Gov. Ed Rendell's administration insists the testing program is essential to establishing uniform graduation requirements for the state's 501 school districts. While Rendell is demanding uniform graduation requirements for all public schools, will the Governor also offer his support for uniform funding for all public schools in Pennsylvania? Uniform teacher quality and teacher benefits? Uniform health, dental, and eye care for children? Uniform safety in getting to and from school? Uniform opportunity for parents of school children to have jobs? Uniform school libraries, art rooms, and science labs? Uniform extracurricular opportunities for all public school children? Didn't think so. Just the same old uniform method of guaranteeing a dependable supply of disposable--and uniform--workers and soldiers. More than a half century of research, both here and abroad, has documented a powerful association between social and economic disadvantage and low student achievement. Weakening that association is the fundamental challenge facing America’s education policy makers. Education policy in this nation has typically been crafted around the expectation that schools alone can offset the full impact of low socioeconomic status on learning. Schools can—and have—ameliorated some of the impact of social and economic disadvantage on achievement. Improving our schools, therefore, continues to be a vitally important strategy for promoting upward mobility and for working toward equal opportunity and overall educational excellence. Evidence demonstrates, however, that achievement gaps based on socioeconomic status are present before children even begin formal schooling. Despite the impressive academic gains registered by some schools serving disadvantaged students, there is no evidence that school improvement strategies by themselves can close these gaps in a substantial, consistent, and sustainable manner. Nevertheless, there is solid evidence that policies aimed directly at education-related social and economic disadvantages can improve school performance and student achievement. The persistent failure of policy makers to act on that evidence—in tandem with a school-improvement agenda—is a major reason why the association between social and economic disadvantage and low student achievement remains so strong. Through its disaggregated reporting requirements, No Child Left Behind and the public discussion it has supported have cast a bright light on the achievement gap, on underachieving disadvantaged children, and on persistently underachieving schools. The potential effectiveness of NCLB has been seriously undermined, however, by its acceptance of the popular assumptions that bad schools are the major reason for low achievement, and that an academic program revolving around standards, testing, teacher training, and accountability can, in and of itself, offset the full impact of low socioeconomic status on achievement. The effectiveness of NCLB has also been weakened by its unintended side effects, such as a narrowing of the curriculum, and by the incentives that NCLB generates for schools to focus instruction on students who are just below the passing point, at the expense of both lower-performing and higher-performing students. NCLB also requires a rate of achievement growth that exceeds the results of even the most effective school improvement measures, alone or in combination, either here or abroad. Given the limitations of conventional policy, including NCLB, we believe that the time has come for U.S. policy makers to rethink their assumptions and adopt a broader, bolder approach for education—one that is powerful enough to produce a large reduction in the current association between social and economic disadvantage and low student achievement. This broader, bolder approach breaks with the past by embracing an expanded concept of education in two respects. First, conventional education policy making focuses on learning that occurs in formal school settings during the years from kindergarten through high school. The new approach recognizes the centrality of formal schooling, but it also recognizes the importance of high-quality early childhood and pre-school programs, after-school and summer programs, and programs that develop parents’ capacity to support their children’s education. It seeks to build working relationships between schools and surrounding community institutions. Second, the broader, bolder approach pays attention not only to basic academic skills and cognitive growth narrowly defined, but to development of the whole person, including physical health, character, social development, and non-academic skills, from birth through the end of formal schooling. It assigns value to the new knowledge and skills that young people need to become effective participants in a global environment, including citizenship, creativity, and the ability to respect and work with persons from different backgrounds. The broader, bolder approach we support is also informed by research. 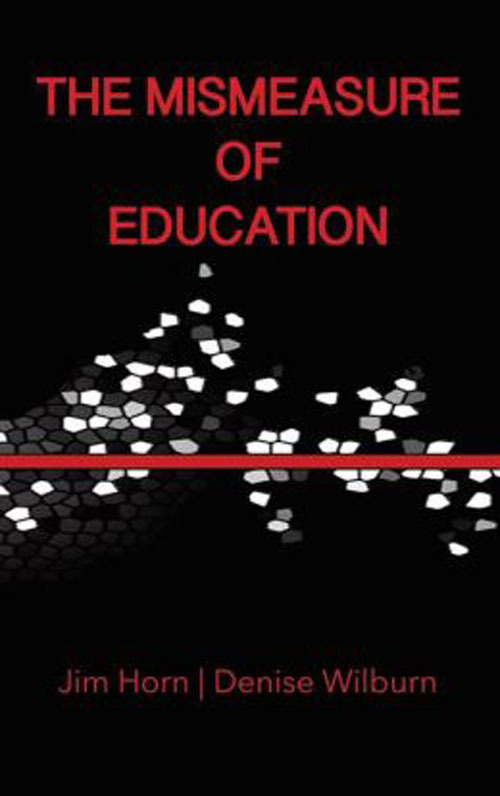 While recognizing that the relations between cause and effect in education are often ambiguous, the new approach incorporates policies and practices whose effectiveness is reinforced by the preponderance of evidence presently available from serious research. In particular, the approach is informed by a large and powerful body of literature from researchers over the years who have examined the powerful impact on student achievement of numerous contextual and environmental factors such as early learning, parenting, health, poverty, and the cognitive, cultural, and character development that occurs outside schools. Continue to pursue school improvement efforts. Research support is strongest for the benefits of small class sizes in the early grades for disadvantaged children, and for attracting and retaining high-quality teachers to work in hard-to-staff schools. Many other school improvement efforts commonly advocated in today’s policy debates have merit and should be pursued, such as improved professional development and school leadership; better coordination between pre-school, elementary, secondary, and higher education; the use of assessments that provide guidance to teachers and principals; and better instruction that makes a high-quality college preparatory curriculum accessible to all students. Educational planners must recognize that some students, such as recent immigrants, arrive at school with distinctive needs that warrant special attention. Increase investment in developmentally appropriate and high-quality early childhood, pre-school, and kindergarten education. Every American child should arrive at the starting line of first grade ready and able to learn. Such a goal is consistent with Americans’ strong belief that every person should have the opportunity to make the most of his or her abilities. It is also a prerequisite for weakening the link between socioeconomic background and achievement. Increase investment in health services. Research supports the provision of prenatal care for all pregnant women and preventive and routine pediatric, dental, and optometric care for all infants, toddlers, and schoolchildren, in order to minimize the extent to which health problems become obstacles to success in school. Such care can be facilitated by programs such as nurse home-visiting, Early Head Start, and clinics that improve parents’ capacity to monitor and care for their own and their children’s health. Expanding the availability of health insurance for low-income families is a positive step, but insurance should be augmented by ensuring that families have access to medical practitioners in their neighborhoods. One particularly promising policy is to locate full-service health clinics in schools. Such clinics offer a way to overcome the absence of primary care physicians in low-income areas. They also address the fact that poor parents are often unable to take time from work for preventive and other health care services. Pay more attention to the time students spend out of school. A body of research has shown that much of the achievement gap is rooted in what occurs outside of formal schooling. By and large, low-income students learn as rapidly as more-privileged peers during the hours spent in school. Where they lose ground, though, is in their lack of participation in learning activities during after-school hours and summer vacations. Such findings suggest that policy makers should increase investments in areas such as longer school days, after-school and summer programs, and school-to-work programs with demonstrated track records. Successful programs do not exclusively focus on academic remediation. Rather, they provide disadvantaged children with the cultural, organizational, athletic, and academic enrichment activities that middle-class parents routinely make available to their own children. The new education approach we propose should be implemented in a careful and deliberate fashion, with ongoing modification as new evidence becomes available. The approach is equally applicable to federal, state, or local policy making. However, the federal government’s historic role in equalizing educational opportunity implies a federal obligation to help states meet the needs of disadvantaged youngsters more fully. The public has a right to hold schools accountable for raising student achievement. However, test scores alone cannot describe a school’s contribution to the full range of student outcomes. New accountability systems should combine appropriate qualitative and quantitative methods, and they will be considerably more expensive than the flawed accountability systems currently in use by the federal and state governments. We believe that it is both possible and necessary to weaken the link between social and economic disadvantage and low student achievement. A policy strategy that combines continued school reform with efforts to address the roots of low achievement can be effective in doing so. It is a violation of the most basic principles of social justice that a country as wealthy as ours denies the opportunities that come with a high-quality education to a substantial proportion of our young people. The increasingly inter-connected world of the 21st century places a premium on the preparation of all of our young people to take their places as effective workers, citizens, and family members. America has a decision to make. We can continue to pursue education strategies that focus on schools alone and on narrow, test-based accountability—and be content with the modest improvements long associated with this approach. Or we can ratchet up our ambitions and adopt a new and expanded strategy with the capacity to improve student achievement and adult outcomes more effectively and efficiently. Weakening the link between social and economic disadvantage and low student achievement—leaving no child behind—is an urgent national priority. With our population aging and schools serving a growing number of disproportionately poor immigrant children, the future viability of our Social Security, health, and other social institutions will be affected by how well we educate young people of all backgrounds. For the sake of enabling all of America’s children to pursue and realize the American dream, for themselves and for our nation, we urge policy makers to embrace this broader, bolder approach to education. . . . . As I have often written, here and elsewhere, that approach [NCLB's test and punish policy] was of the mindset that the beatings will continue until morale improves. "Along with 59 other top educators, policymakers and health officials, she's put her name to a nonpartisan document to be released on Tuesday by the Economic Policy Institute, a Washington think tank. Titled "A Broader, Bolder Approach to Education," it lays out an expansive vision for leveling the playing field for low-income kids, one that looks toward new policies on child health and support for parents and communities. Neuman says that money she's seen wasted on current programs should be reallocated accordingly. 'Pinning all our hopes on schools will never change the odds for kids.'" It is interesting that when many of us criticized the original proposal of NCLB on the grounds that much of what tests measured was impacted by things beyond the reach of schools, including nutrition and health, for example, we were attacked as being unwilling to be held accountable. Our response that we already held ourselves accountable for the factors within our control and that policy makers needed a similar degree of accountability was not given the same publicity as were the criticisms of educators. Schools are, and always have been, a reflection of the attitudes of the larger society in which they are placed. Crumbling buildings, lack of enrichment activities, narrowing of curricula, rigid approaches to pedagogy and discipline - these all serve as the unintended or hidden curricula that our students all learn: that for all our bloviations about our not wanting to leave children behind we really don't believe it and are too easily satisfied as a society to be seeming to be concerned about our schools, but unwilling to make the major commitments necessary to really equalize opportunity for all children. And let's be honest. There are subtantial numbers of people who quite happy to keep things as they are. Perhaps it is how they hope to ensure a steady flow of people going into the military for misadventures like Iraq - after all, we have seen administration figures and people like John McCain oppose Jim Webb's new GI Bill proposal on the grounds that it might interfere with retention of people in the military after their initial enlistments. It is also because there are those who wish to preserve advantages for their own children, and are unwilling to support the taxes necessary to equalize things for children who through no fault of their own do not have access to similar resources - in their homes and families, their neighborhoods, or their schools. With my own school year coming to an end, I will have more time to examine aspects of educational policy more closely. In coming weeks I will review several books, here and elsewhere. I will give my reaction to the Performance Exhibition of the Coalition of Essential Schools I recently attended in Providence. I will offer a piece introducing many to a different statewide model in MN that allows for broad public school choice. And I will take the time to read and respond to the report being issued today. I had not planned to write about education or politics today. I will this morning officially end my school year, and I wanted a day where I could simply wind down. Yet even as school years around the country are coming to a close, we cannot stop thinking about educational policy. No Child Left Behind will probably not be fully addressed until after the next president takes office, with a somewhat different Congress, which will then attempt to address the educational needs of the nation as they perceive it. Still, we should not wait until then to analyze and discuss what has happened since Bush took office. No Child Left Behind has been very destructive to many of Americaa's public schools. And to have someone as connected as was Susan Neuman acknowledge that for some supposedly dedicated to the well-being of our schools and students it was instead serving as a vehicle to attempt destroy the public schools (and thus a chance at a meaningfully improved economic future for many of our young people) strictly on ideological grounds is something about which everyone should be aware. Well, it just took Time Magazine seven years to ask someone on the inside if what we have been saying for seven years is true, but later is better than never, you might say. Susan Neuman, former Asst. Sec. of ED under Rod Paige, now admits that insiders at ED saw "NCLB was a Trojan horse for the choice agenda." In coming partially clean, Susan is also spinning away, trying to exonerate Bush, Paige, and, of course, herself. Neuman also continues her dissembling (or maybe she is just ignorant) by suggesting that the Spellings "growth model" plan would do anything to change the absurd 2014 target of 100% proficiency in reading and math. It does not. Neuman and others like Finn and Ravitch are busy, so busy, trying to make like good progressives, rather than the iron-fisted test and punish standardistas they were just a few months back. Neuman gives no clue as to how she will make amends for staying silent during the past 7 years of educational genocide, as millions of children, parents, and educators have been brutalized by the policies she promulgated and promoted. There was always something slightly insane about No Child Left Behind (NCLB), the ambitious education law often described as the Bush Administration's signature domestic achievement. For one thing, in the view of many educators, the law's 2014 goal — which calls for all public school students in grades 4 through 8 to be achieving on grade level in reading and math — is something no educational system anywhere on earth has ever accomplished. Even more unrealistic: every kid (except for 3% with serious handicaps or other issues) is supposed to be achieving on grade level every year, climbing in lockstep up an ever more challenging ladder. This flies in the face of all sorts of research showing that children start off in different places academically and grow at different rates. Add to the mix the fact that much of the promised funding failed to materialize and many early critics insisted that No Child Left Behind was nothing more than a cynical plan to destroy American faith in public education and open the way to vouchers and school choice. Now a former official in Bush's Education department is giving at least some support to that notion. Susan Neuman, a professor of education at the University Michigan who served as Assistant Secretary for Elementary and Secondary Education during George W. Bush's first term, was and still is a fervent believer in the goals of NCLB. And she says the President and then Secretary of Education Rod Paige were too. But there were others in the department, according to Neuman, who saw NCLB as a Trojan horse for the choice agenda — a way to expose the failure of public education and "blow it up a bit," she says. "There were a number of people pushing hard for market forces and privatization." Tensions between NCLB believers and the blow-up-the-schools group were one reason the Bush Department of Education felt like "a pressure cooker," says Neuman, who left the Administration in early 2003. Another reason was political pressure to take the hardest possible line on school accountability in order to avoid looking lax — like the Clinton Administration. Thus, when Neuman and others argued that many schools would fail to reach the NCLB goals and needed more flexibility while making improvements, they were ignored. "We had this no-waiver policy," says Neuman. "The feeling was that the prior administration had given waivers willy-nilly." It was only in Bush's second term that the hard line began to succumb to reality. Margaret Spellings, who replaced Paige as Secretary of Education in 2005, gradually opened the door to a more flexible and realistic approach to school accountability. Instead of demanding lockstep, grade-level achievement, schools in some states could meet the NCLB goals by demonstrating adequate student growth. (In this "growth model" approach, a student who was three years behind in reading and ended the year only one year behind would not be viewed as a failure.) "Going to the growth models is the right way to go," says Neuman. "I wish it had come earlier. It didn't because we were trying to be tough." Neuman also regrets the Administration's use of humiliation and shame as a lever for school reform. Failure to meet NCLB's inflexible goals meant schools would be publicly labeled as failures. Neuman now sees this as a mistake: "Vilifying teachers and saying we are going to shame them was not the right approach." The combination of inflexibility and public humiliation for those not meeting federal goals ignited so much frustration among educators that NCLB now appears to be an irreparably damaged brand. "The problems lingered long enough and there's so much anger that it may not be fixable," says Neuman. While the American Federation of Teachers was once on board with the NCLB goals, she notes, the union has turned against it. "Teachers hate NCLB because they feel like they've been picked on." Is there a way out of the mess? Neuman still supports school accountability and the much-maligned annual tests mandated by the law. But she now believes that the nation has to look beyond the schoolroom, if it wishes to leave no child behind. Along with 59 other top educators, policymakers and health officials, she's put her name to a nonpartisan document to be released on Tuesday by the Economic Policy Institute, a Washington think tank. Titled "A Broader, Bolder Approach to Education," it lays out an expansive vision for leveling the playing field for low-income kids, one that looks toward new policies on child health and support for parents and communities. Neuman says that money she's seen wasted on current programs should be reallocated accordingly. "Pinning all our hopes on schools will never change the odds for kids." This growing list is among the services provided by FairTest: The National Center for Fair and Open Testing. If there is anyone in the running for next ED Sec. job who is more contemptuous of common sense than the "99.9% pure" Margaret Spellings, it has to be ed industry cheerleader and McCain sidekick, Lisa Graham Keegan. Yesterday the Arizona Republic had a small piece that presaged the impending education debate of the Fall presidential campaign, which seems destined to be limited to an argument about how much testing by whom, rather than the sorely-needed national discussion of the purposes and aims of education within a democracy struggling to achieve equity and excellence while avoiding environmental calamity. . . . . Lisa Graham Keegan, a key education adviser to the McCain campaign, suggested rigid, standardized testing remains an essential tool in evaluating schools. But Keegan, a former state superintendent of public instruction who was considered by President Bush as his first secretary of education, said the tests are the best way to measure learning progress. "There can't be tests, plural," Keegan said. "If we allow different tests for different kids in (schools where English is a second language) and poor settings, what happens is work that would get a C grade in a wealthy area would get an A in a poor area. That's a fact." Does Lisa Keegan really believe that children in wealthy areas would seek out poor, immigrant schools so that they could make an A on the big test? Really? Or is there another concern to which she seems unaware contained in the obverse of her question: what happens to ESL children who can't read the test that is constructed and normed so that the poor, the brown, the immigrant children only rarely have a chance to make more than a C? Does Keegan really believe that treating everyone exactly the same is the same thing as treating them equally? Surely she wouldn't give a sighted child a test written in Braille. Would she continue the obliviously-racist policy of test and punish that guarantees the continued failure of those who need the most help to succeed? Here is one of those rare journals with a heart that is neither dumbed down nor studiously arcane, which makes it a good read whether you are a classroom teacher, a teacher of classroom teachers, an administrator or researcher. Check out the last year's Fall issue free. The Journals Division of the University of Chicago Press and the Francis W. Parker School, Chicago are pleased to announce their new partnership to publish Schools: Studies in Education, which has been self-published biannually by Parker since 2004. A special double issue, scheduled to publish in fall 2008, will inaugurate the new partnership. Consulting editor and Parker English teacher Mary Dilg proclaimed the new partnership a “tribute to the Board of Trustees of the Francis W. Parker School and to the University of Chicago Press for their vision and support in helping birth a national publication serving the needs of those who serve the children of our nation.” Founding executive editor and Principal of the Parker School Daniel Frank praised the new partnership, saying that it “will allow Schools to flourish,” adding that “Schools remains committed to publishing excellent descriptive narratives and thoughtful analytic commentary about how students, teachers, administrators, parents and others feel about their experiences in the classroom, and with the culture, curriculum and people of the school.” In the five years since Schools’ founding, editor Andy Kaplan has seen it “develop a public forum for those most intimately involved in the daily life of schools” and has found in their “stories and reflections the healthiest antidote to a national discussion of educational standards that has for so many years reduced, demeaned, and undermined the real work of the school.” Director of the University of Chicago Press Garrett Kiely welcomed the valuable addition, saying “our education list has been central part of the Press’s mission since its inception, and with the addition of Schools: Studies in Education, we gain the most original voice in education today.” In the Journals Division, Schools will join American Journal of Education, The Elementary School Journal, and Comparative Education Review on the education list. The complete fall 2007 issue is available for free viewing and download at: www.journals.uchicago.edu/schools. Subscriptions to Volume 5 (2008) are now available and include access to the complete online archive of the journal’s first 4 volumes, containing over 100 articles and essays by public and private K-12 educators, university professors, and others who work with school-aged students, including the writing of such nationally-known educators as Vivian Paley, Roland Barth, Pat Carini, Jay Featherstone, and Tom Cottle. Paley and Cottle also serve on Schools consulting editor board, which includes many of the leading voices in American education. Schools: Studies in Education is a refereed international education journal for pre K-12 educators, administrators, university professors, and others who work with school-aged students. Published biannually, Schools fills a long standing void in the world of educational publications, providing a forum to promote the scholarship and career growth of school educators by providing school teachers and others a rare space to explore, through stories and their related commentaries, the more dynamic and complex experiences of school life in ways that convey how human relationships, thoughts, and emotions shape the meaning of educational experience in schools. Schools distinguishes itself as an educational journal committed to furthering the valuable dialogue between education and psychoanalysis that finds few outlets today in public forums regarding the theory and practice of educational professional development. Each issue of Schools includes richly described interpretive accounts of how teachers, students, and others experience their social and psychological relationships to each other, to the curriculum, to the ways teachers and students learn, to the systemic and organizational dynamics of school culture—including the complex interactions among groups and between groups and their leaders—and to the structures that comprise the wider domains of society and the world. Contributors write in a variety of genres: scholarly articles based on theory and research, interpretive reflective essays, brief informal meditations and stories, and educationally relevant reviews of books, films, art exhibitions and musical performances. In addition, each issue features a reprint of an intriguing passage from a long-ago, previously written or published insight or reflection on education in schools.